The West is filled with iconic landscapes, most of them public. With rod in hand, shotgun or rifle shouldered, most of us have experienced the bounty public lands provide. And from our earliest days in the field when any body of water or forest held unseen potential, to our current, often thoughtfully planned excursions, public lands have always been there to provide opportunity. A new report by the National Wildlife Federation highlights the value of public lands for hunters and anglers. For many, the true American dream is pursuing North America’s trophy big game on the West’s vast open spaces. It’s the epitome of DIY – a complete hunting or fishing trip in the West – and also a testament to our sporting nature. It’s all there: the planning, the practice, the pursuit, the stalk, the shot and the harvest. This sporting heritage is hard to quantify on a personal level. The value of days spent afield alone or with great friends and family, transcends material possessions. The value of public lands, however, can be quantified. 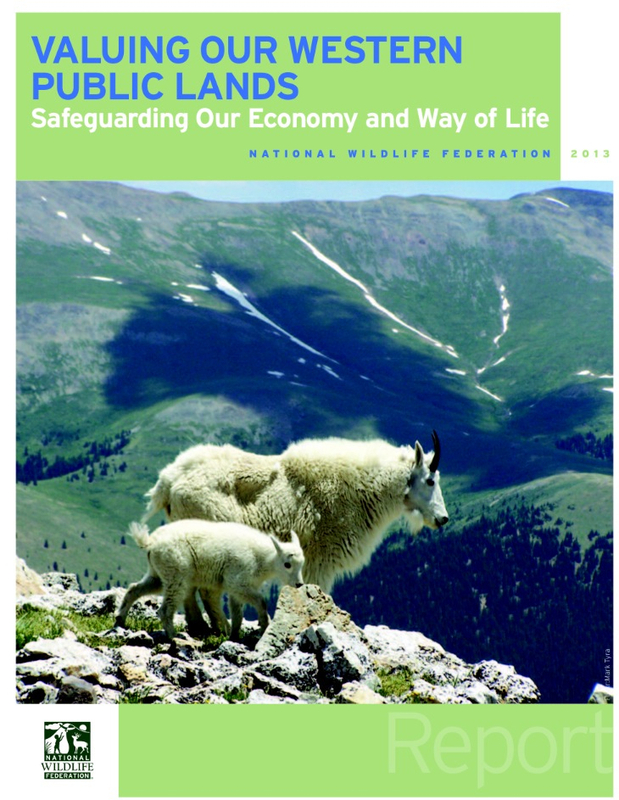 The National Wildlife Federation’s (NWF) new report, Valuing Our Western Public Lands: Safeguarding Our Economy and Way of Life, illustrates the value and scope of our western lands and sends a clear message that these lands define the American landscape and our national identity. The bulk of the vast open spaces are in the West, where they have generated jobs and revenue from commodity production, tourism and recreation, including hunting and fishing. As the western economy changes from one dominated by natural resource production to one distinguished by knowledge- and service-based industries, conserving public lands becomes increasingly important as a magnet for businesses and employees seeking a high quality of life. 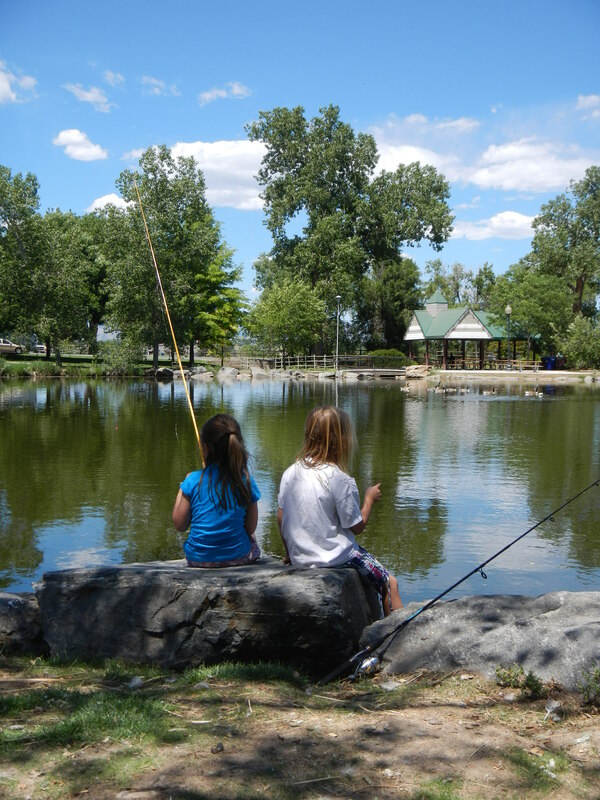 • Many communities near public lands managed for conservation and recreation report higher levels of economic, population and income growth and higher property values. • The outdoor recreation industry, including fishing and hunting, contributes nearly $650 billion to the U.S. economy and supports more than 6 million jobs. Western public lands provide recreation for people from across the country and world. • Americans invest nearly $39 billion annually in natural resource conservation, resulting in more than $93 billion in direct economic benefits. • Extractive, commodity-based industries generate needed materials and energy and provide jobs and revenue, but have been cyclical and have become a smaller part of the overall economy. Energy development on public lands can eliminate wildlife’s ability to migrate from summer to winter habitat as well as adjust to the growing effects of climate change. the land threaten a crucial part of our economy. These proposals threaten the fundamental value of ensuring that lands belonging to all Americans stay open to everyone, now and in the future. Through the NWF report a picture of the changing West emerges. Studies show that many communities near public lands managed for conservation and recreation report higher employment, growth and income levels and higher property values. The service industries, which include health, finance and legal jobs, have diversified the economy and sustain communities when commodity-based industries experience downturns. Industries traditionally associated with the West – logging, mining, oil and gas drilling – are still important and provide needed materials, but are often cyclical and have become a smaller part of the overall economy. Former WON staffer Rich Holland is Fishing and Hunting Content Director for SmartEtailing.com, which offers web hosting and online commerce tools to 15,000 independent retailers affiliated with Big Rock Sports. His business, and countless others, lie at the heart of the public lands economy. But again, the value runs deeper than business. “In the 1940s, my father was in his early teens when his family moved to Los Angeles from Pittsburgh, Pennsylvania,” said Holland. “He and his brother immediately discovered the great fishing and hunting available on public lands. That love of the outdoors was passed along to me and I still fish and hunt in many of the same places he frequented as a young man. and more sustainable for generations to come. So what does it all mean in today’s world? The report was created to bring the importance of public lands into the national dialogue. Several Western legislatures and members of Congress have shown they are out of touch with the public’s support for keeping public lands in public hands. The last two congressional sessions, lawmakers introduced dozens of bills seeking to diminish protection of public land, require the federal government to sell millions of acres of the land or turn the land over to the states. State legislators and congressional members behind proposals to dispose of public lands claim that westerners believe federal management of the lands constrains natural resource development, thus depriving states of the economic benefits. In fact, the measures contradict the majority of western public opinion and threaten the region’s economy, which benefits from the diverse businesses attracted and supported by conserving public lands. As a sportsman from the West I have fished from Alaska to the Gulf Coast, Baja to Idaho – and many places in between – almost exclusively on public lands. Certainly there is a place for the magnificent private-land opportunities in North America – but for the common man, nothing beats the landscapes his forefathers created, paid for with his tax dollars, equipment purchases and license fees, and which is waiting with open arms for him to conserve for his children and the generations to follow. If you care about this American heritage, your access to public lands and wildlife, and your ability to share this with your children and grandchildren, then you need to inform yourself about the positions your elected officials are taking on public lands issues. Moreover, you need to communicate your positions to your elected officials. This is the essence of representative democracy and it is more important than ever in a time when big money is exerting enormous influence. WASHINGTON – Seven prominent hunting and fishing organizations are speaking out in support of the responsible management of some of the most valuable fish and wildlife habitat in the Rocky Mountain West. Via advertisements in nine Colorado newspapers, the sportsmen’s groups are urging the Bureau of Land Management to conserve backcountry lands that comprise some of northwest Colorado’s most outstanding public lands hunting and angling. The agency currently is finalizing the White River Resource Management Plan, which will administer 1.5 million acres of federal lands. 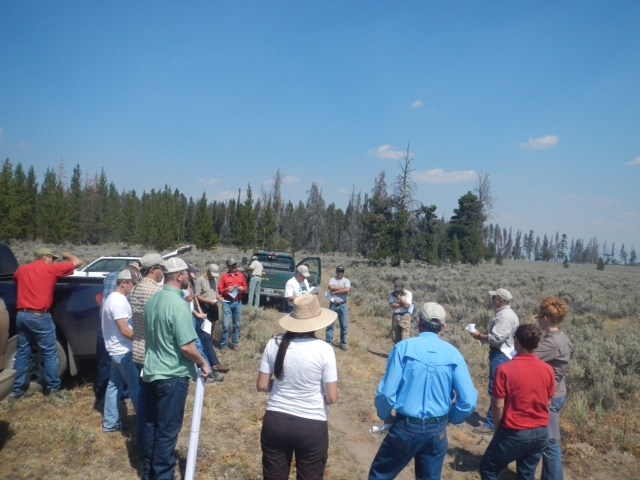 The Theodore Roosevelt Conservation Partnership, Backcountry Hunters & Anglers, Bull Moose Sportsmen’s Alliance, Colorado Wildlife Federation, National Wildlife Federation, Trout Unlimited and Western Native Trout Initiative are reaching out together to the BLM. “Please respect the values of sportsmen by balancing energy development with the protection of our backcountry sporting opportunities and abundant fish and wildlife populations in the White River Resource Management Plan,” the groups state. The areas in question encompass valuable fish and wildlife habitat. Known as the nation’s “mule deer factory,” northwest Colorado also is home to the largest migratory elk herd in North America and irreplaceable native trout fisheries. Sporting groups in partnership with local sportsmen and businesses dependent on hunting and angling are requesting that the BLM implement a special land-management classification in an effort to conserve the unique wildlife, recreation, and economic values of the region. Called “backcountry conservation areas,” this management category would conserve specific intact and undeveloped public lands that produce robust game populations and provide high quality hunting and fishing opportunities. The White River Resource Management Plan Amendment under consideration will guide the BLM’s management of the region’s landscape for the foreseeable future. The White River area offers world-class hunting and angling opportunities as well as abundant mineral resources. 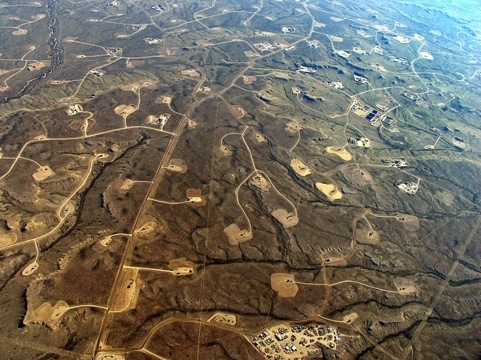 An estimated 13,000 wells will be drilled in the area in the next 20 years. 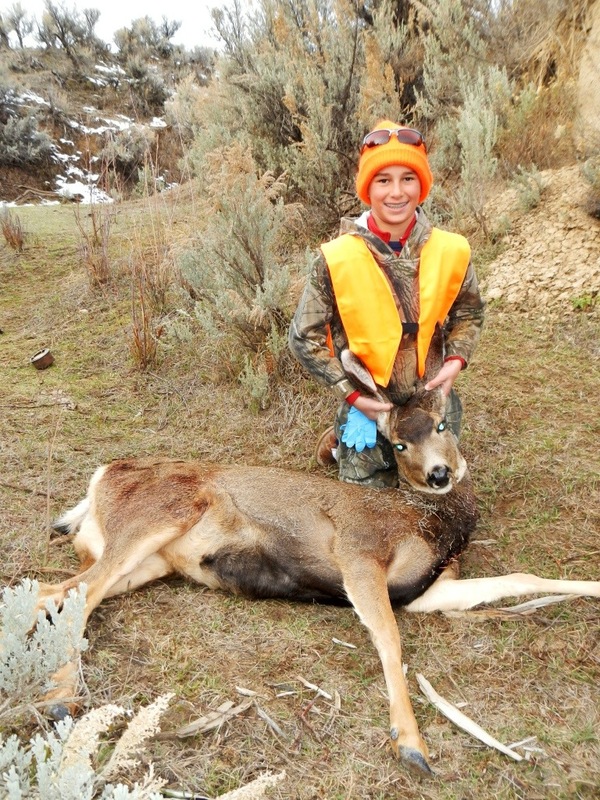 Sportsmen are requesting a balanced, conservation-minded approach to this development. Many sportsmen also support the creation of a master leasing plan in the White River area, which would guide development using a landscape-level management approach. The sportsmen’s ads will be featured in the Rio Blanco Herald Times on Thursday and in the Denver Post and Craig, Steamboat Springs, Glenwood Springs, Boulder, Loveland, Longmont and Canon City papers on Saturday. “Sportsmen understand the need for quality, undeveloped backcountry habitat, just as we understand the need for responsible energy development. There’s no good reason why we can’t have both,” said Tim Brass with the Colorado chapter of Backcountry Hunters & Anglers. “In northwest Colorado, native cutthroat populations are under pressure, and safeguarding riparian zones and drainages from development is critical for native trout survival and restoration,” said Robin Knox, coordinator for the Western Native Trout Initiative. 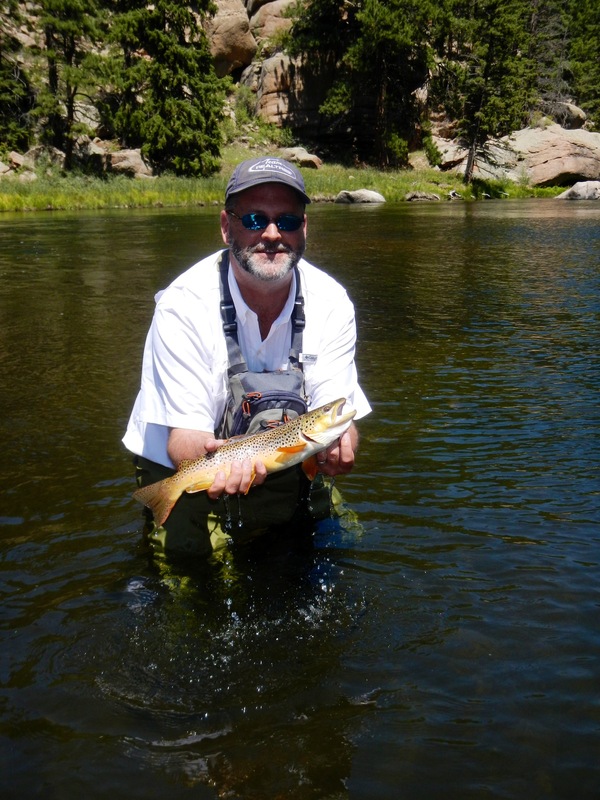 “The White River Basin offers some of the finest sporting opportunities in our country so sportsmen know we need to do our part to ensure that it stays that way,” said Aaron Kindle, Colorado field coordinator for Trout Unlimited’s Sportsmen’s Conservation Project. Learn more about backcountry conservation areas and how they can sustain fish and wildlife habitat valued by sportsmen. View the sportsmen’s advertisement here. Venice, LA – The incredible value of the Louisiana wetlands spans economic, cultural and environmental functions too great to be lost by any one generation. And as the rapid loss of wetlands continues it is important to note that we can fix this problem. We must. It’s a responsibility we have to be sure future generations can enjoy one of the world’s great ecosystems. 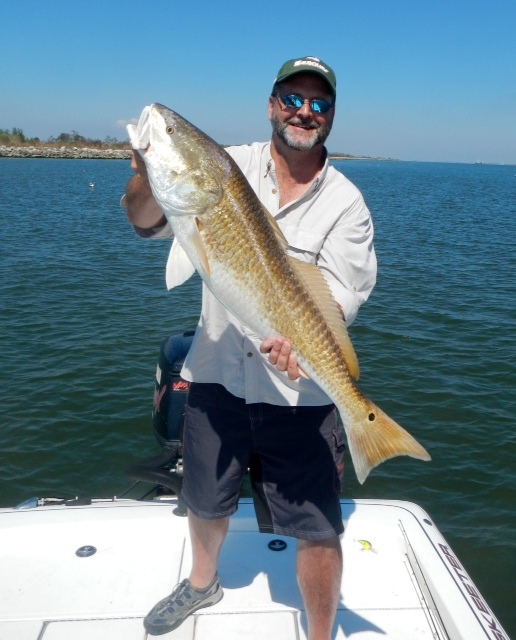 Just how important this resource is to sportsmen was never more evident than this past week when a hearty group of anglers descended upon the marsh to chase bull redfish as they have each year for well beyond a decade. 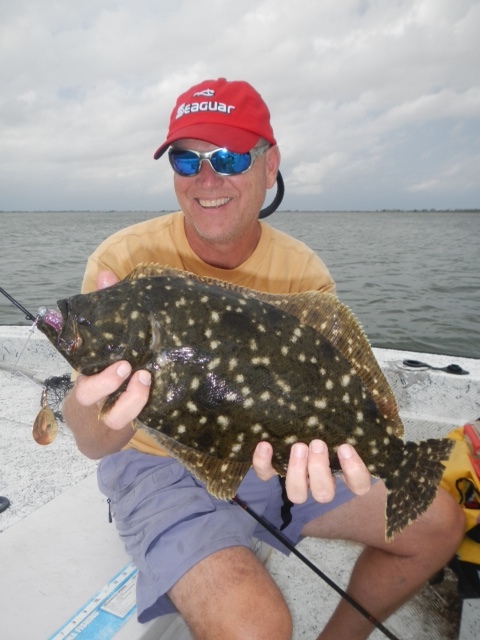 This group of more than 50 anglers engage in a self-titled “Marsh Madness” event that brings together boaters from Louisiana and Mississippi with hunting and fishing industry representatives, outdoor writers and Vanishing Paradise. Many proclaimed the fishing has never been more dynamic – a galvanizing statement that places the value of this resource in the crosshairs of the importance of restoration. We simply cannot afford to lose this sportsman’s paradise. Heading into a violent batch of thunderstorms that seemed to camp directly on the marsh it was tough to determine how the three days of fishing would unfold. Day one we waited out the torrential morning rains and headed out around lunch into strong winds and dark skies. Tony Taylor, owner of Louisiana Sportsman magazine remarked on the damage of Hurricane Isaac as he made his first dive into the marsh since the devastation. “It’s hammered, it’s blown out,” he remarked, as we pushed through the marsh looking for clean water and cover from the wind. The roseau cane was battered and flattened everywhere we looked and it was obvious the hurricane had compounded the rapid loss of wetlands in the area. Without a good source of incoming freshwater sediment the marshes ability to recover is severely compromised. We picked away at the rat reds until we moved into the river and Taylor’s rod bent further than one could imagine. 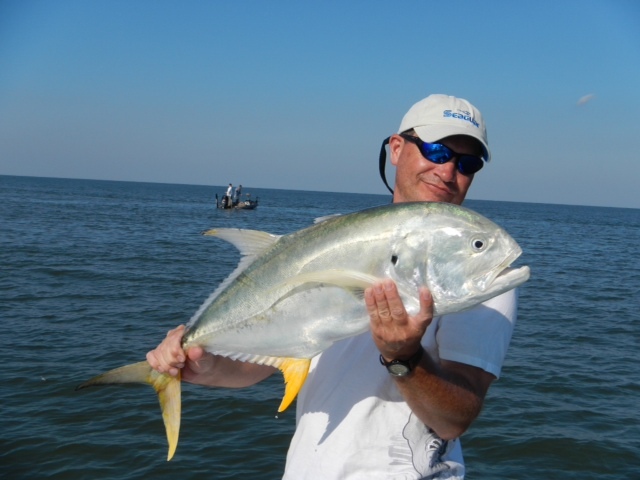 The fight went on for 15 minutes before a fat jack crevalle came to boat. From that point on we were into decent reds and big flounder – all on the great jigs provided by Top Brass Tackle, the organizer of the event and ZMan plastic baits. Day two, the weather began to subside, though it was cool by Louisiana standards. The red were increasing in size as we pitched along the rip rocks, points and cuts of the marsh edge. Day three, the magic revealed itself. The class size of the reds increased. I landed an 18 pounder and followed it with a 16 before we headed to South Pass and nearly every fish was between 12 and 30 pounds! If this wasn’t a testament for saving the marsh, nothing would be. One fish after another came to boat all afternoon, mixed in with powerful jack crevalle, sharks and speckled trout to 8 pounds. It was a remarkable sight, and an unforgettable experience. the recent past to Washington DC to speak to their senators about passing the Restore Act. With the help of sportsmen, the Act was passed this summer, directing 80 percent of the BP oil spill fines under the Clean Water Act to go back into restoring the wetlands. A great victory for sportsmen and the ecosystem. And it’s not just these sportsmen of Marsh Madness who care, Field and Stream and other media outlets are reporting on a recent poll by GOP-aligned polling firm Chesapeake Beach Consulting on key conservation issues among 800 hunters and anglers conducted for the National Wildlife Federation. The poll shows this fairly conservative set of voters wants more action on a range of conservation issues that remain inadequately address in this election cycle. The composition of respondents was 55% both anglers and hunters; 33% anglers only; and 12% hunters only. NWF and its local affiliates, field and supporters are urging candidates for office around the nation to pay more attention to critical conservation issues. • 60% said that they vote in every election and additional 21% said they vote in almost all elections. The sample was randomly drawn from a list of self-identified hunters and anglers (sources included magazine subscribers, hunting and fishing license holders, and members of sporting groups). To qualify, a respondent had to indicate that he/she is a hunter, an angler or both and a registered voter. All interviews were conducted by telephone, including 15% of the interviews by cell phone. The margin of error for this study is plus or minus 3.2% at the 95% confidence level. The poll offers some insights for the Louisiana wetlands and the region as it continues to recover from the BP disaster. • 81% believe that BP should be held accountable and fined the maximum amount allowed for the 2010 oil spill and required to restore the Gulf to ensure the recovery of fish and wildlife populations. 87% of hunters and anglers want BP fines and penalties to be used exclusively to restore fish and wildlife habitat and not for infrastructure such as roads, bridges, ports and convention centers. For those who identify with a political party, 81% of Democrats and 88% of Republicans agree. Many of the sponsors for Marsh Madness signed on to NWF’s letter to Congress on the Restore Act, and we’d like to thank Top Brass Tackle, Plano Molding, BASS, Louisiana Sportsman magazine, Seaguar Line, WileyX sunglasses, ZMan baits, RealTree Camo, Skeeter Boats, and Under Armor clothing for their support of this event and its ability to highlight the tremendous value these wetlands provide to the American sportsman and the wildlife within. 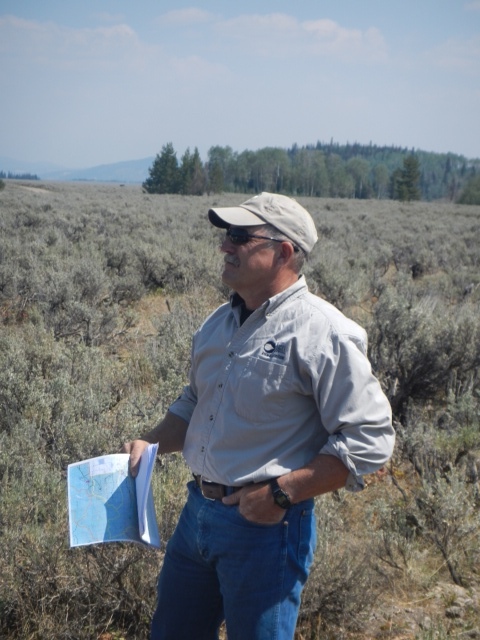 WASHINGTON – Under a groundbreaking agreement announced today, 58,000 acres of valuable fish and wildlife habitat in a fish- and wildlife-rich region of northwest Wyoming prized by sportsmen will be permanently withdrawn from oil and gas development. Located in northwest Wyoming’s Hoback Basin in and around the Bridger-Teton National Forest, the lands had been leased for development by Plains Exploration & Production Company, or PXP. The Trust for Public Land, a partner of the Theodore Roosevelt Conservation Partnership, entered into an agreement with PXP to purchase the leases; upon completion of the transaction, the leases will be retired. Wyoming Gov. Matt Mead and TPL announced news of the arrangement in Jackson, Wyo., this morning. The Hoback Basin, a sportsmen’s paradise in northwestern Wyoming, has provided Americans with hunting and angling opportunities for more than a century and is home to outstanding elk, mule deer, moose and bighorn sheep hunting, as well as fishing for Snake River cutthroat trout. Conservation of this portion of the Wyoming Range is critically important to mule deer herds already impacted by energy development on Wyoming’s Pinedale Anticline, which has seen 60-percent losses in mule deer numbers over the past decade. The PXP leases encompass important stopover areas used by mule deer during their seasonal migrations. These areas play a critical role for mule deer – both in the spring, while the deer are building strength to reproduce and move to summer range, and in the fall, when they are gaining weight to prepare for winter. “This agreement shows that we can find common ground between conservationists, hunters, anglers – and even oil and gas developers,” said TPL Northern Rockies Director Deb Love. “We can come together to solve our toughest problems and reach solutions that are fair to all sides.” The Trust for Public Land must raise an additional $4.25 million by Dec. 31 to complete the transaction. 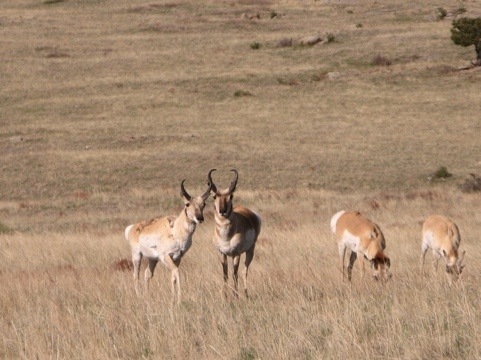 The energy lease buybacks are made possible under the Wyoming Range Legacy Act, legislation whose introduction and passage was long championed by the TRCP and other sportsmen’s groups. Before his death, Sen. Craig Thomas of Wyoming conceived of the act, which was formally introduced by Sens. John Barrasso and Mike Enzi and signed into law in 2009. Among other provisions, the Wyoming Range Legacy Act allows leases to be retired permanently when purchased instead of being resold to other oil and gas companies. Wyoming hunters and anglers identified this area as one of the most important in the state through the TRCP’s Sportsmen Values Mapping Project. The TRCP believes that to better balance the concerns of fish and wildlife in the face of accelerating energy development, federal land management agencies must follow the conservation tenets outlined in the FACTS for Fish and Wildlife. Oil companies and other polluters have once again convinced a new crop of political leaders to take a crowbar to the nation’s environmental laws and try to wedge open a few new loopholes. It first happened in 1995. Congress’ attack on the Environmental Protection Agency and their efforts to add anti-environmental riders to budget bills became a central issue as President Clinton vetoed the bills, leading to the last government shut down (and a reversal of political fortunes for the House GOP, which lost its majority in the 1996 elections). This is a much broader issue than the health of the American people and lungs and emphysema; it’s how can we balance that in the global marketplace for jobs. Concord Monitor (NH): An assault on our air, waterPassed under cover of night on Saturday, this bill endangers the health of New Hampshire’s children, elderly citizens and other vulnerable populations by blocking the Environmental Protection Agency from doing its job and cleaning up coal-fired power plants and other large sources of dangerous carbon dioxide pollution. It also cuts the EPA’s overall budget by the largest percentage in 30 years, severely threatening the agency’s ability to ensure that all New Hampshire residents have clean air to breathe and clean water to drink.